Once upon a time, I was a spinner, knitter, crocheter and felter. Among other things of course. Now my passion has evolved, which passions tend to do, to creating felt paintings. There really isn’t much difference between what I do now and what I did as a spinner, but there is some. Mainly, the fiber. As a spinner, I had mohair all around me. 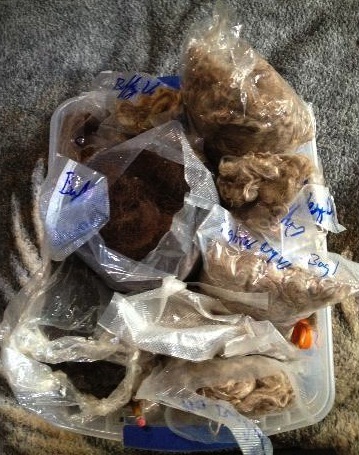 Raw, washed, pulled, baby fleeces saved for extra specials and a few rovings of silk and that’s about it. My world has indeed changed. Sitting around me now, are bags and bags of what I call ‘scrap bags’. These are loaded to the brim with bits of colored mohair curls, bits of silk, sari silk threads, wool of many kinds and colors and even sparkly fibers. 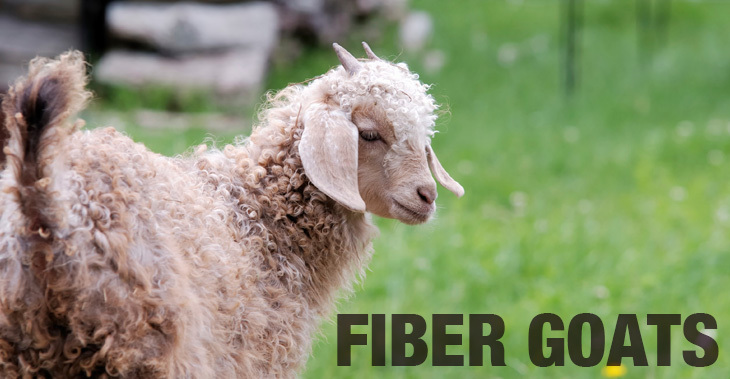 The need for multiple kinds and colors of fiber has altered everything. It became so overwhelming that when I had a visit from my daughter, she saw my stress and helped me organize the mass of color. I now have bins. 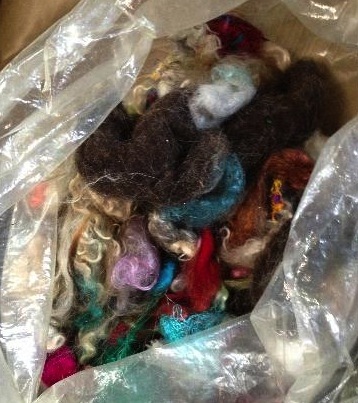 Bins of brown, reds, whites, color curls, color wool, alpaca batts… everything is separate now. It’s getting harder to know which goat I’m using now and I really liked that, but I still try my best. When I say a bin for browns, I mean it has as many shades of brown as we could gather up, in all sorts of types. Some wool, some buffalo, some mohair. It actually makes it much easier to find things and to build a painting. I recently went to a fiber festival and my husband surprised me by buying me 7 pastel alpaca batts and I was and am in heaven. It’s amazing the feeling we fiberholics get when we score a new goodie. A special goodie. This was ultimately special. I know many of you know what I mean. That excitements that builds because you have something so special. It may be a bag of aqua mohair curls or maybe a tri painted curl, but it touches your heart and you just wanna hold it, feel it, rub it between your fingers and wear that smile that only comes with certain soft fuzzies. I have one such set of curls that I have yet to use. I’m waiting. Waiting for that one special painting that I know it will be perfect for. I remember this feeling when I was spinning. I had a baby fleece. All washed up from a mill, just shiny as could be, but it was so special to me, I couldn’t use it. Five years went by before I finally opened that precious bag, and lo and behold it then went into the bin of red for my paintings. Life is funny that way. So many people have expressed an interest in doing these paintings like I do, but I have to caution you. My daughter, for example, has come to learn my technique. She was only supposed to stay about 2 weeks. Well, then she realized she would have no way to support the buying of so many kinds of fiber and so much fiber. She has already experienced the running out of, say, the woodsy green mohair curls, and needing just one more… gotta find just one more. 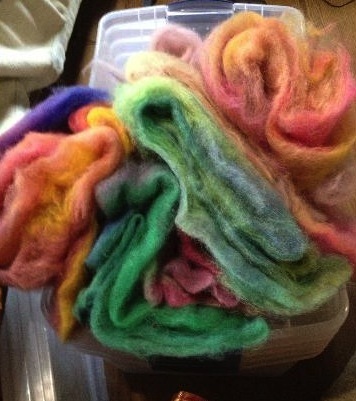 We usually do, but what that means is another trip to Kai Mohair for colored curls and when you get there, you can’t just buy the woodsy green, oh no, you see all the other colors that speak to you and you know you need for mountains or bears or owls. She realized very quickly that for now she has to remain here to hone her craft, so she has access to all the different fibers. At this time, my studio is my bedroom. I have a king sized bed and I share it with my colored fuzzies. Her half is filled with the bins I spoke of, plus my own personal scrap bag of the moment. Oh ya, those scrap bags get put aside mostly, and after a run to Kai Mohair and a new one begins. I’ve kicked around the idea of selling little bags of the scraps for other would-be needle felters or even pros. They just accumulate. So ya, there is a mound of fiber of all colors and kinds – on my bed. 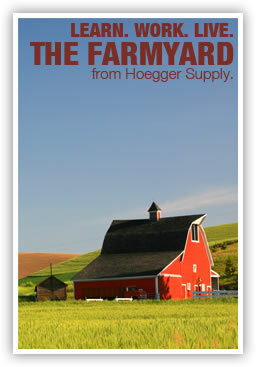 It lives there. It gives me great joy to be able to reach out my hand and feel the softness at any given moment. I guess what I’m saying folks, is this is a heads up. If you truly are called to do felt paintings, it is a more expensive fiber route. Keep this in mind, otherwise you may go nuts needing more fibers and you can’t get them. I know, I’ve been there. In the meantime, I have received bad news from my doctor and my daughter has decided to stay and care for me. We sit on this bed night after night and reach into the mound of colored fuzzies till the wee hours of the morning to create the art we love so much. I still miss spinning, but not knitting or crochet. And yes, I still have my wheel, but my focus and passion is with the paintings. Oh, I finally learned how to do small ones too! That was a hard one to overcome. Persistence, practice and patience. The three P’s of needlefelting paintings. I don’t know how much longer I will be on the planet to create these arts, but you can bet I’ll be poking that needle till the bitter end. Passion is passion. Life is life. Please – fit some passion in your life. Make room for it. Blessings. You can read my daily blog here.